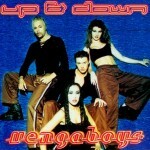 When it comes to late 90’s party music, Vengaboys have the market cornered, thanks to bangers like “We Like To Party” and “Boom, Boom, Boom, Boom!” Vengaboys, which consist of Robin, Kim, Denise and Donny, were originally formed in Amsterdam and still call it home (when they aren’t traveling doing shows)! Dave O recently had the pleasure of SKYPE’ing with Robin, who was full of amazing stories, from how the group came together, to working with Perez Hilton, to touring the U.S., to talking about the new single (“Hot Hot Hot”). Definitely an interview that makes it easy to see why Vengaboys are adored by their fans!